One of my ongoing goals in game to have completed before the next expansion is to get all of the class mounts. I’ve been slowly but steadily making my way through levelling each class, then getting their mount/s. 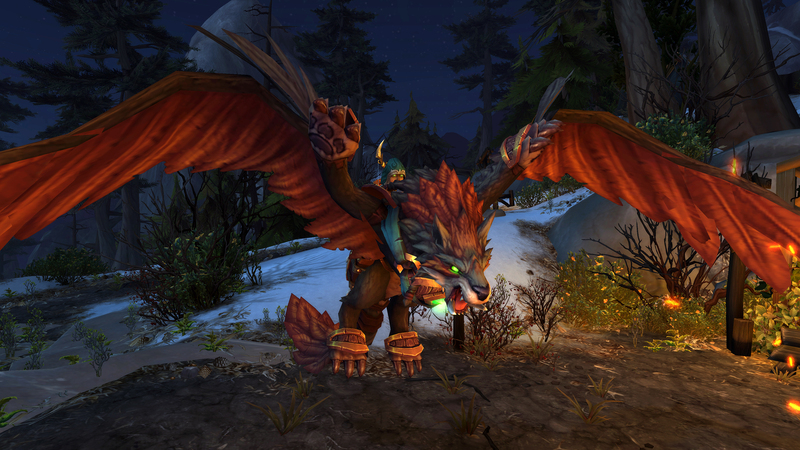 Today, I unlocked another, my hunter, bringing me up to 7 class mounts so far. Levelling my hunter has really been quite the mission. Once I had finished levelling my priest and getting her mount, I was pretty much done with the classes that I play somewhat regularly (i.e. I’ll play them for fun, too, not just for mounts/achievements). Everything after my priest has been difficult. The toons themselves don’t have great gear (just baleful gear from WoD) and because I don’t know the classes well, they’re slow to level, and well… boring. But, I want all the mounts! So I persevered. I decided my hunter would be next, not because I like the mount (it’s honestly one of my least favourites), but because the novelty of gnome hunters was still alive and well, so off Cinderling went. I started out levelling as Marksman because I like the weapon appearance, but to be honest it was pretty rubbish to level with, so I swapped over to Beastmaster, which proved to be a LOT better. She dinged 110 a few days ago. 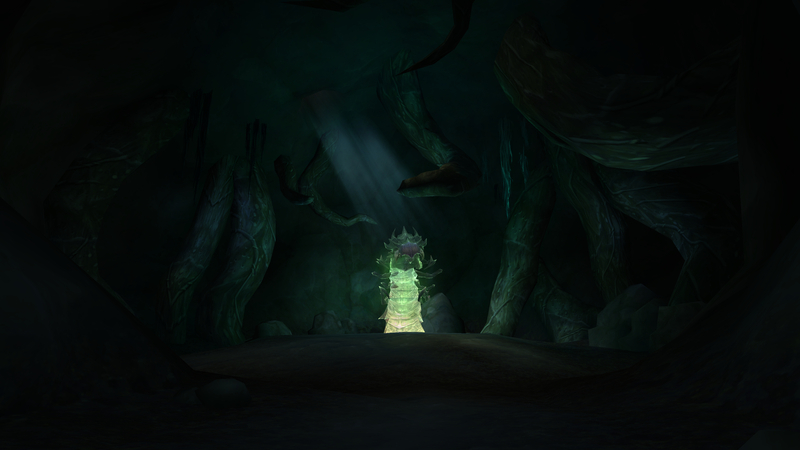 Then it was off to the Broken Shore to get going on the Legionfall Campaign that would ultimately give me my mount. Cinderling had a much better time getting through this than other classes, because the pets just tanked for daaaays, so it all passed very quickly. 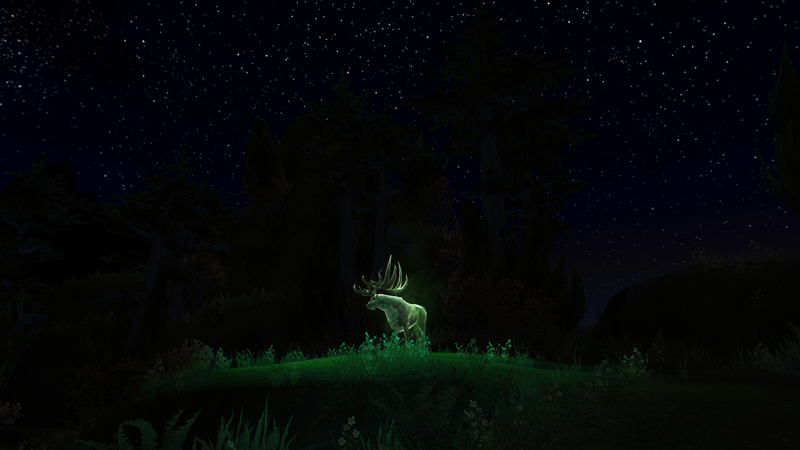 Once I was done (earlier this morning) it was time to get my mount! The quest line for the hunter mount was actually quite great. 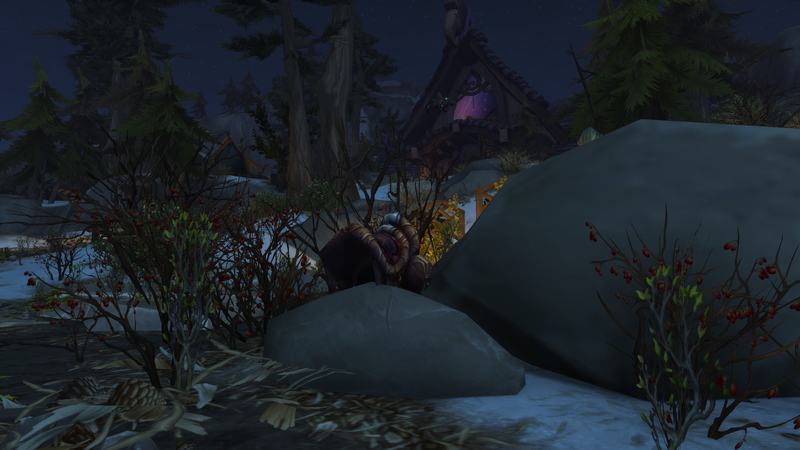 We receive an invitation from Odyn to take part in a great hunter feast (where hunters get to have a feast, not be the feast!) 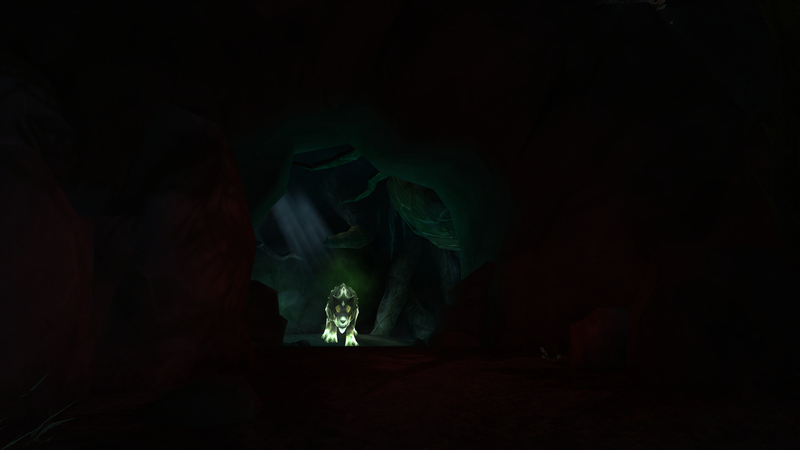 that takes place in the Field of the Eternal Hunt (where you go fight Fenryr in the Halls of Valor dungeon). The feast is by a beautiful warm fire and it’s all lovely with food everywhere. But then a “chosen one” (guess who! 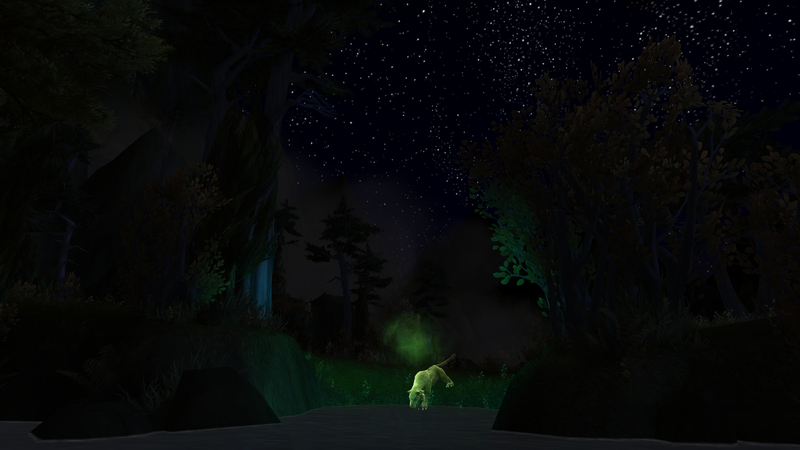 )is to go out into the darkness to hunt for spirit beasts to earn their favour. 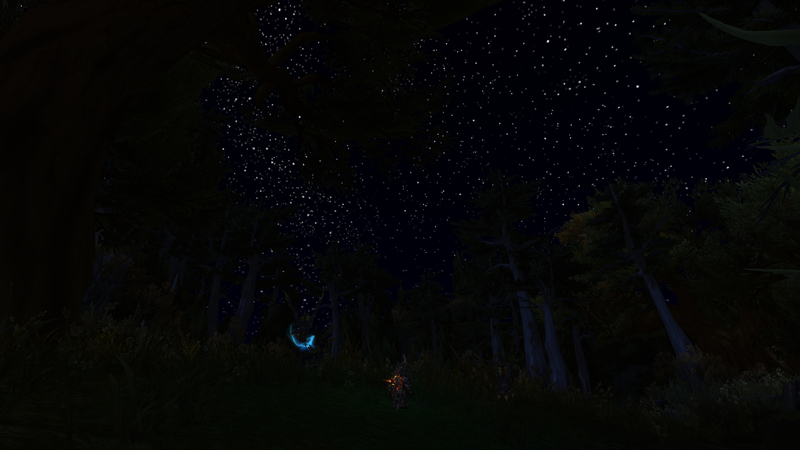 The area is in pitch black darkness of night, with a sky full of stars. So pretty. 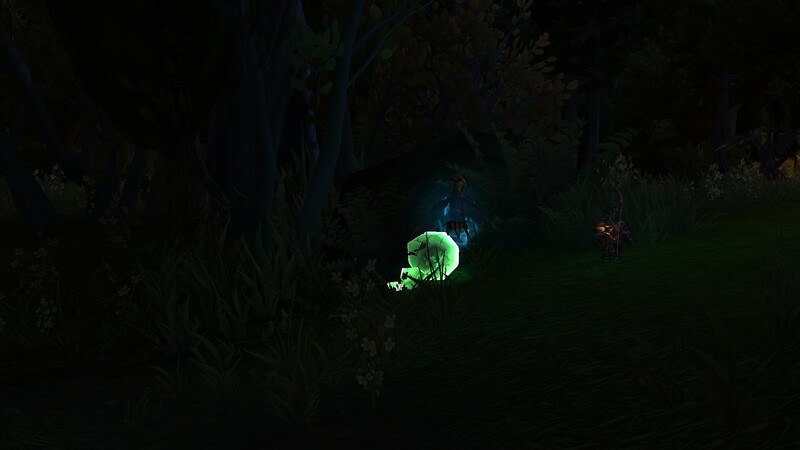 We need to track the beasts, so hunter tracking is on, and picks up some dots nearby. Rather than these being beasts, they are clues to take us to the beasts. 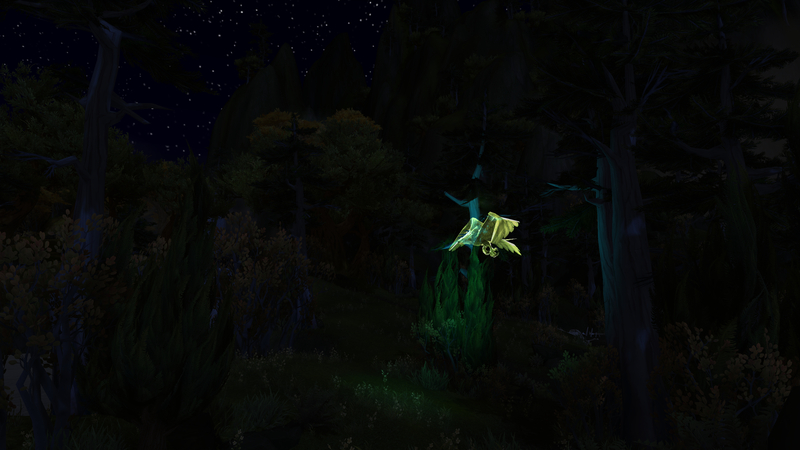 Each of the clues glowed this translucent spirit-green colour. So I followed the clues to each of the beasts. It felt a bit weird having to kill them… as if the spirit of the dead animal wanted to go through all of that death and pain again. So initially I wasn’t sure what to do when I saw the stag. But yes, kill him, I did. As well as the others. 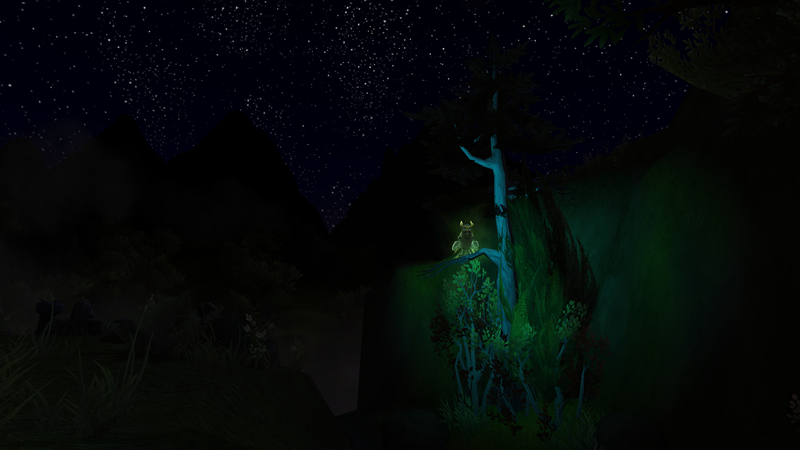 Even though it was weird, they made for some really beautiful screen shots. These fights were a little more difficult. In fact, they were a bit of fun, really! The beasts died… and then the super-ultra-rare beast appeared. And he was actually quite beautiful. He also needed to be defeated (though I was quite glad that he didn’t actually die!). 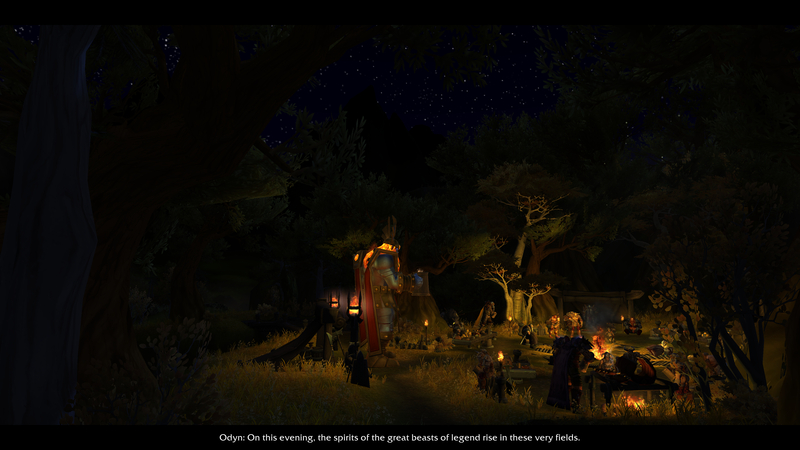 Odyn called me back and we had a giant piss-up for the rest of the night. When Cinderling awoke in the hunter’s lodge a little while after, we went outside, and there was a saddle, sitting on a rock. Me too. I really enjoyed that final bit with the feast; it felt like it was my class doing my final stuff and how it should be.